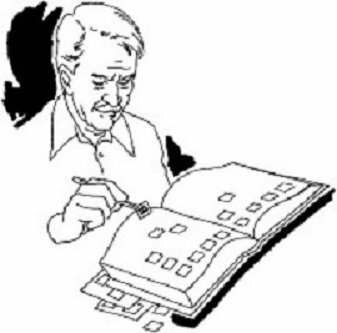 2013-1pac, 2013 ALA U.S. Spring Charity Seal Easter Fund Packet, R13EFAS01, Oregon return address. Issued 2013. Fund raising packet from the ALA, which contains one sheet of 2013 Spring Seals, Special Occasion Stickers & Address Labels, 2013 Calendar, Note Pad, and a 2013 Easter Fund Campaign Letter and a return envelope. 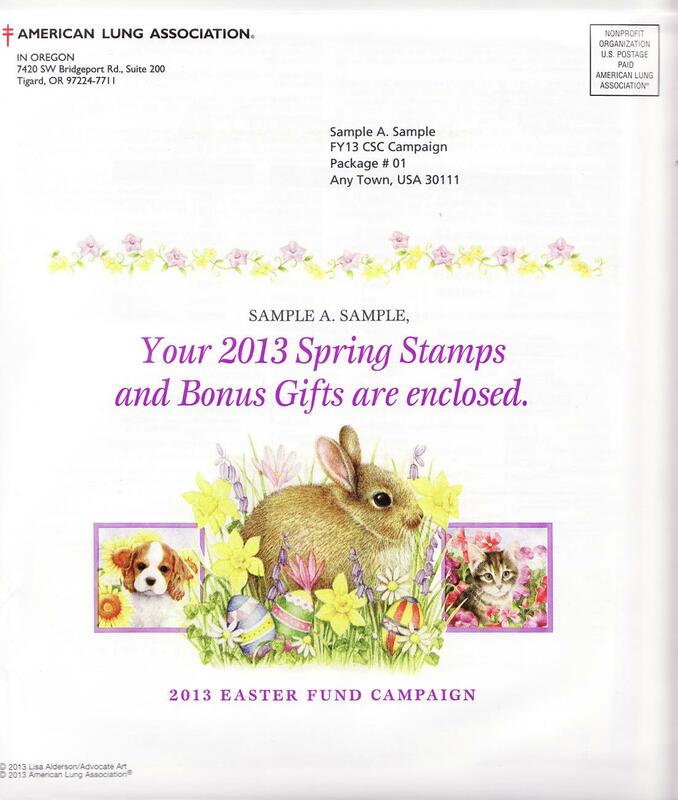 2013-1pac, 2013 ALA U.S. Spring Charity Seal Easter Fund Packet, R13EFAS01, Oregon return address. Issued 2013 by the American Lung Association (ALA). Fund raising packet from the ALA, which contains one sheet of 2013 Spring Seals (2013-S1x), Special Occasion Stickers & Address Labels (2013-S1.6x), 2013 Calendar (CL113-S1), Note Pad (NP113-S1), 2013 Easter Fund Campaign Letter and a return envelope.